VI.9.2 Pompeii. Casa del Meleagro or House of Meleager. VI.9.2 Pompeii. May 2010. 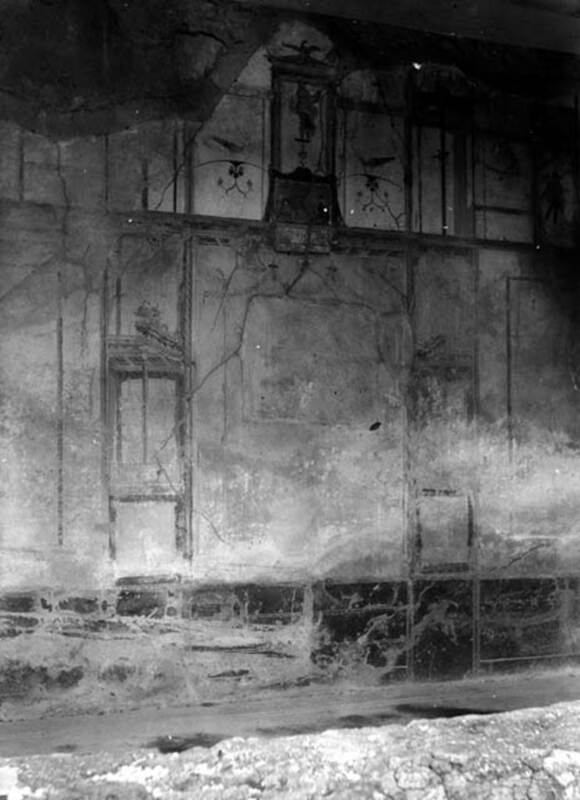 Room 8, east wall. 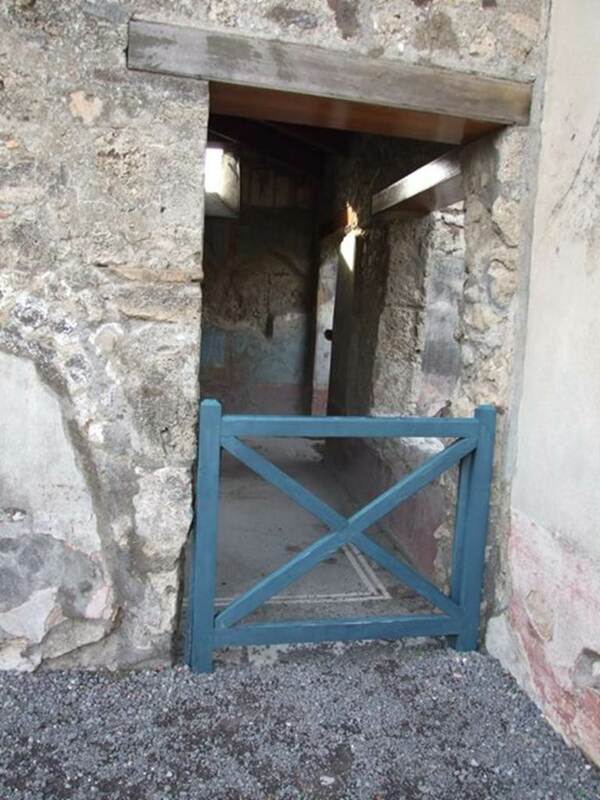 VI.9.2 Pompeii. Found 30th October 1829 in room 8, tablinum from top of east wall. Stucco relief decoration. Now in Naples Archaeological Museum. Inventory number 9595. VI.9.2 Pompeii. May 2010. Room 8, south wall. 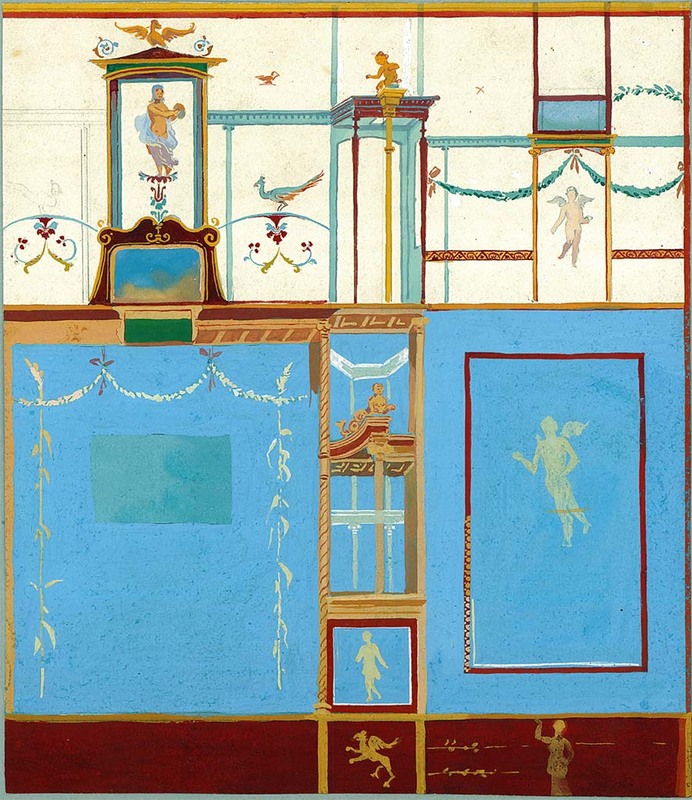 VI.9.2 Pompeii. W.489. Room 8, south-east corner of tablinum. VI.9.2 Pompeii. Found 30th October 1829 in room 8, tablinum from top of south wall. Stucco relief decoration. Now in Naples Archaeological Museum. Inventory number 9625. 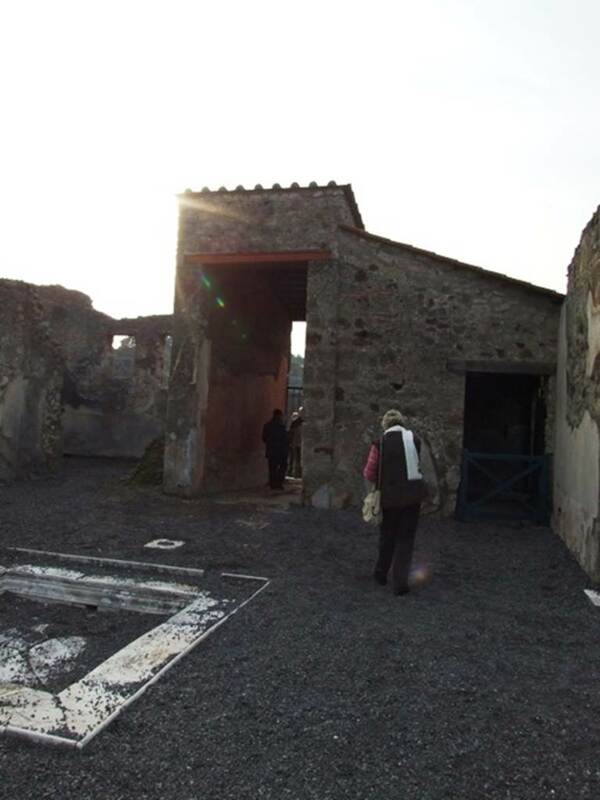 VI.9.2 Pompeii. Found 30th October 1829 in room 8, tablinum from south wall. 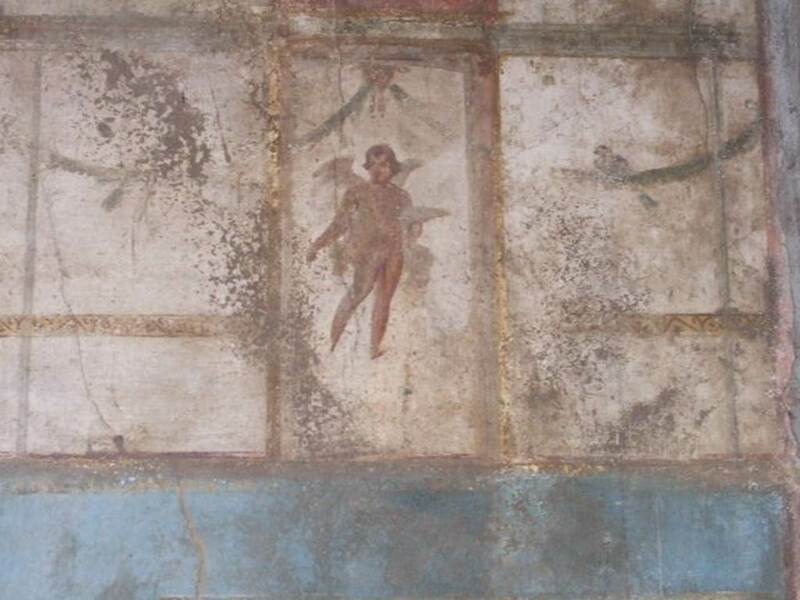 Wall painting of Mars and Venus with two cupids who hold the god’s helmet and the goddess’ box. Now in Naples Archaeological Museum. Inventory number 9256. See Helbig, W., 1868. Wandgemälde der vom Vesuv verschütteten Städte Campaniens. Leipzig: Breitkopf und Härtel. (318). VI.9.2 Pompeii. May 2010. Room 8, floor of tablinum. Looking west across atrium towards entrance and room 29. Looking west to north-west corner of atrium, with doorway to room 29, centre, and peristyle, on right. VI.9.2 Pompeii. December 2007. Doorway to room 29, from atrium. VI.9.2 Pompeii. December 2007. Room 29, looking towards west wall with small window. 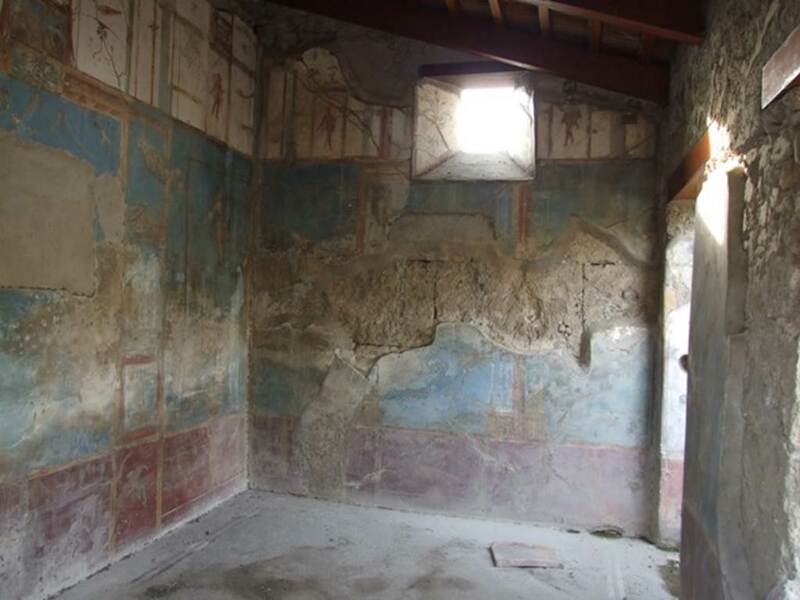 In the north wall, there is a large window and doorway to peristyle. 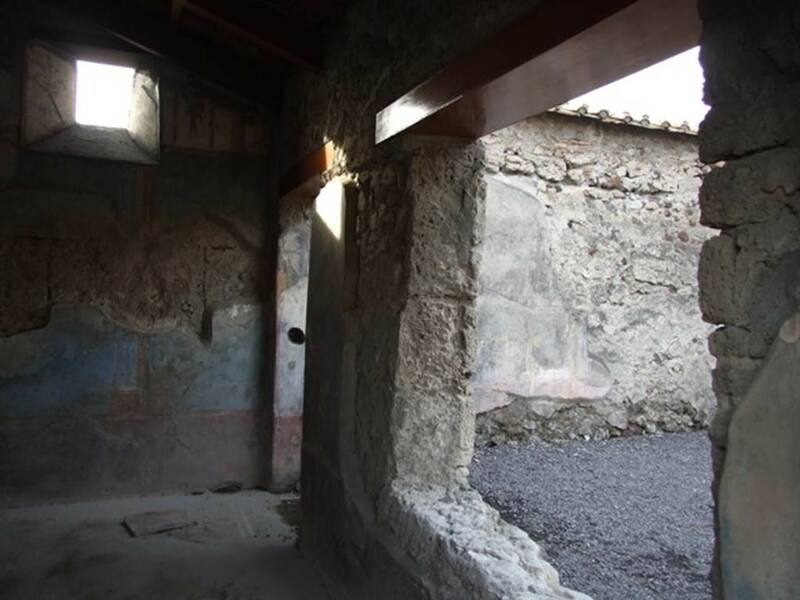 VI.9.2 Pompeii. December 2007. Room 29, west wall with window. 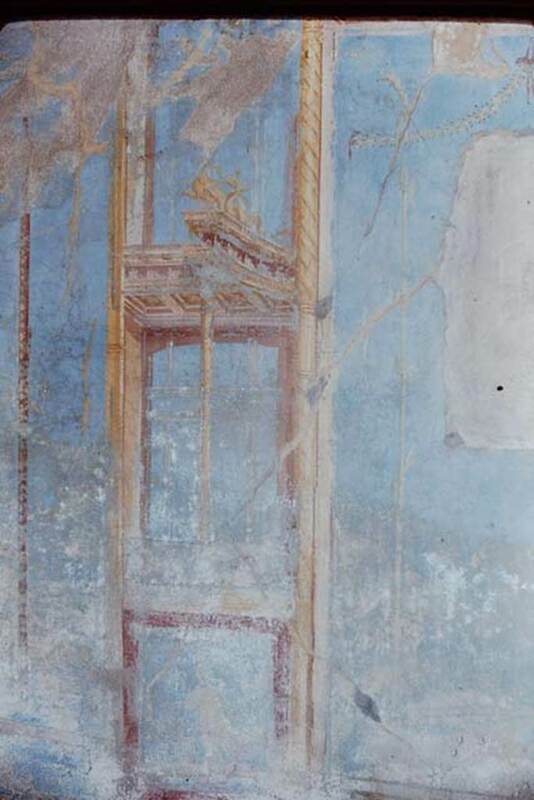 VI.9.2 Pompeii. September 2005. 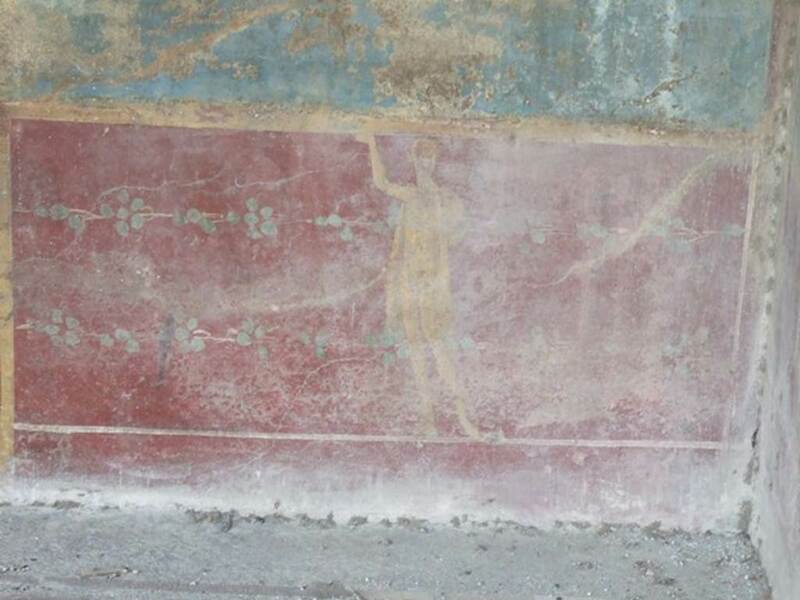 Room 29, painted figure on west wall. 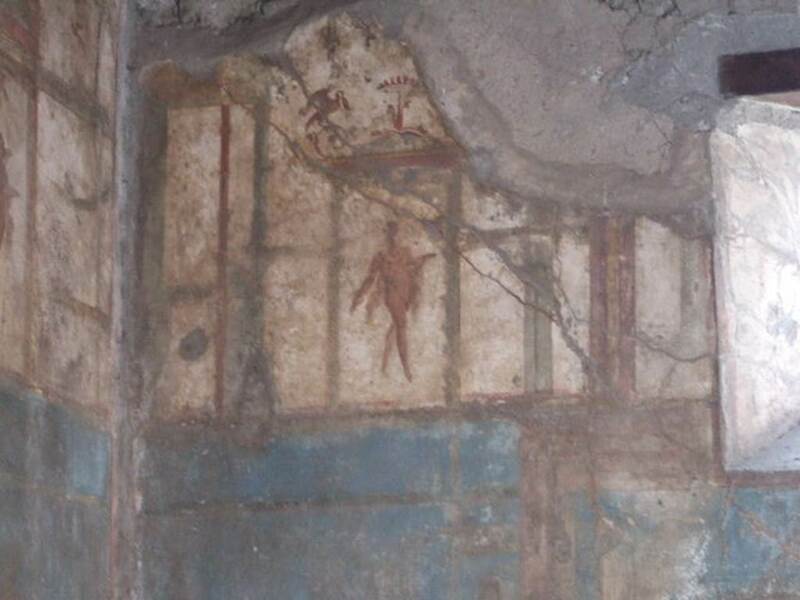 VI.9.2 Pompeii. December 2007. 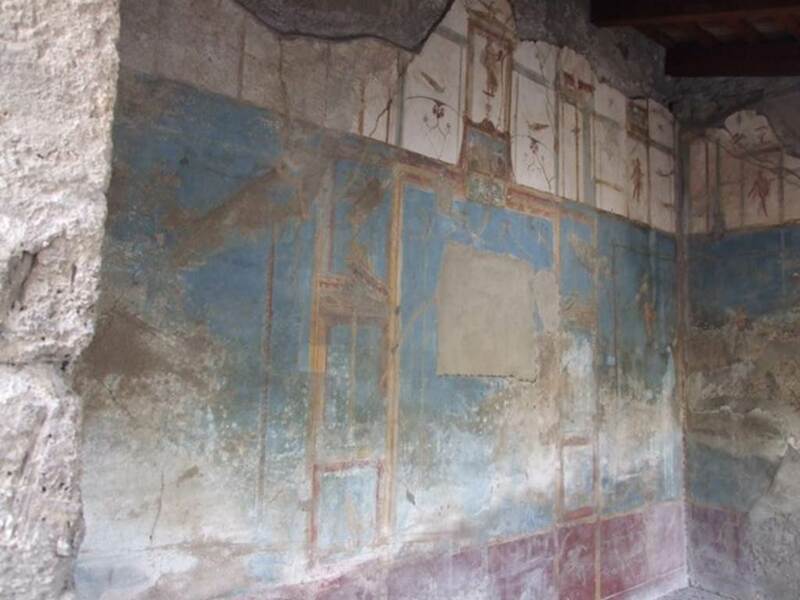 Room 29, south wall with painted wall decoration. 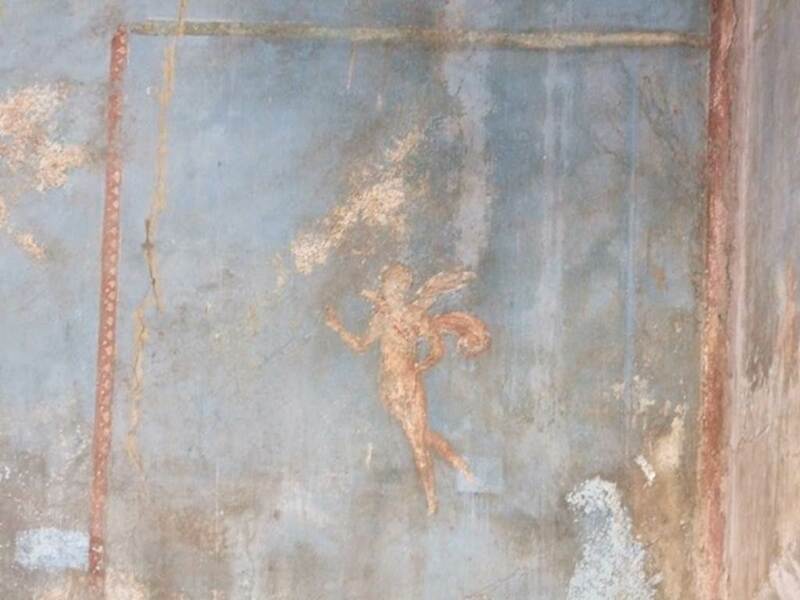 In the centre was a painting of Apollo and Mercury (Hermes), now removed. 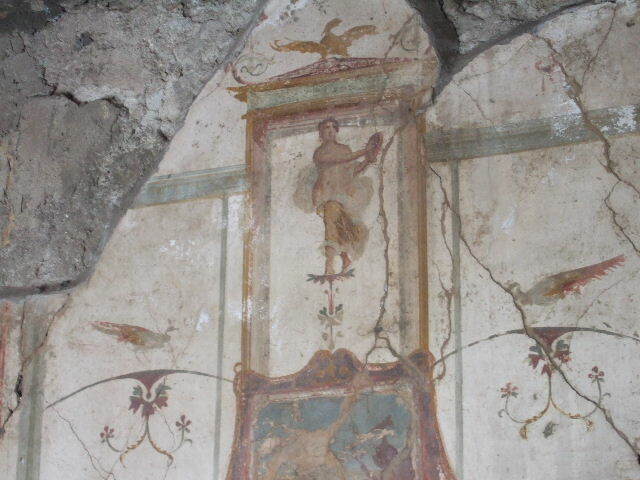 VI.9.2 Pompeii. 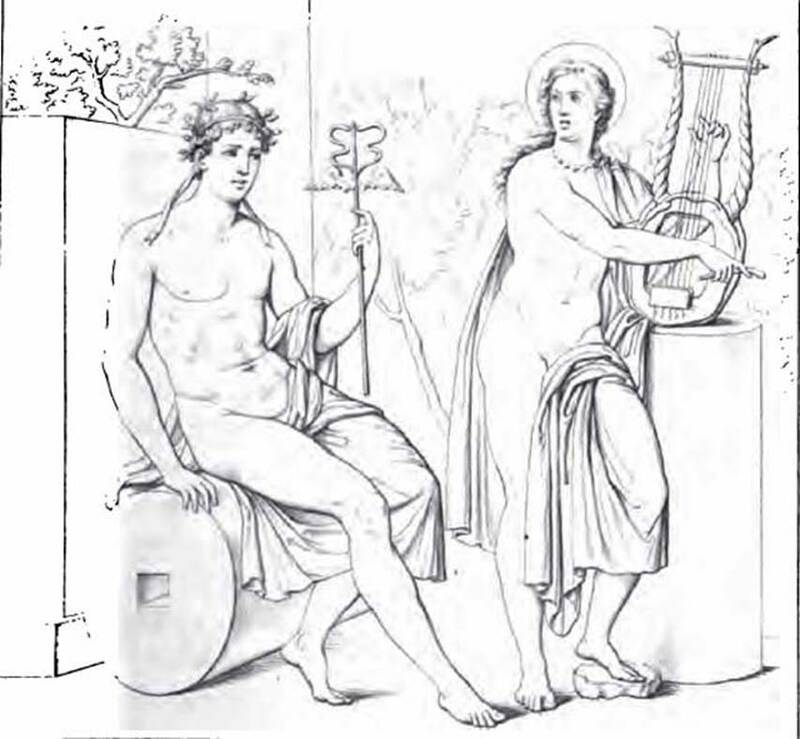 1834 drawing of Apollo and Mercury painting, room 29, centre of south wall. 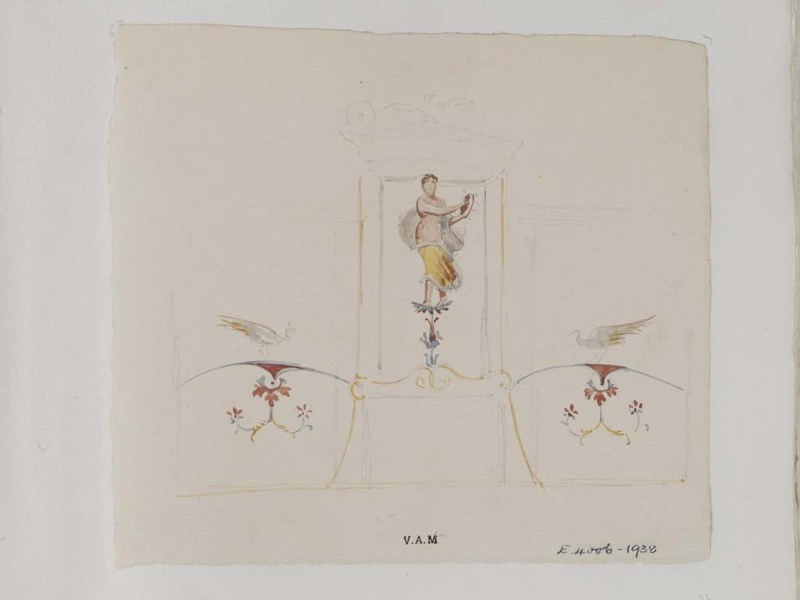 See Real Museo Borbonico, X, 1834, Tav. XXXVII. See Bragantini, de Vos, Badoni, 1983. 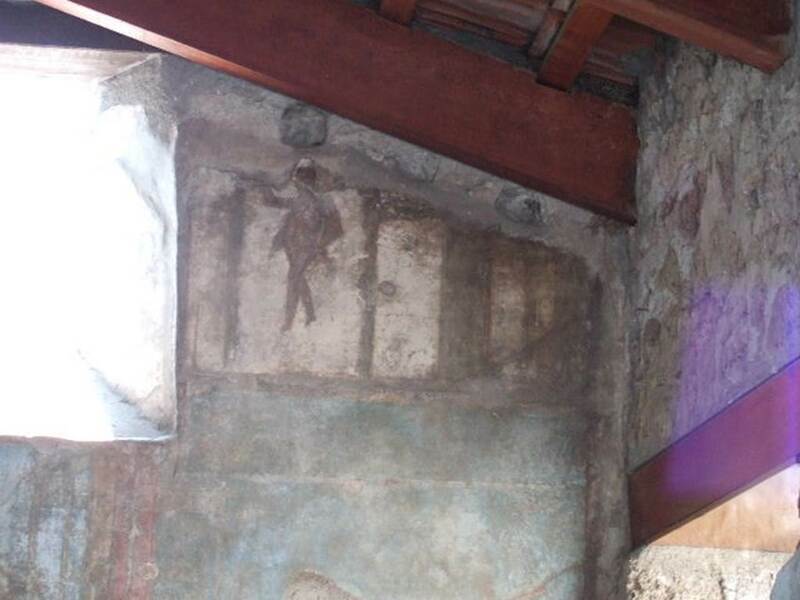 Pitture e Pavimenti di Pompei, Parte 2. Rome: ICCD. P. 199. See Schefold, K., 1957. Die Wände Pompejis. Berlin: De Gruyter. p.110. See Helbig, W., 1868. Wandgemälde der vom Vesuv verschütteten Städte Campaniens. Leipzig: Breitkopf und Härtel. (201). 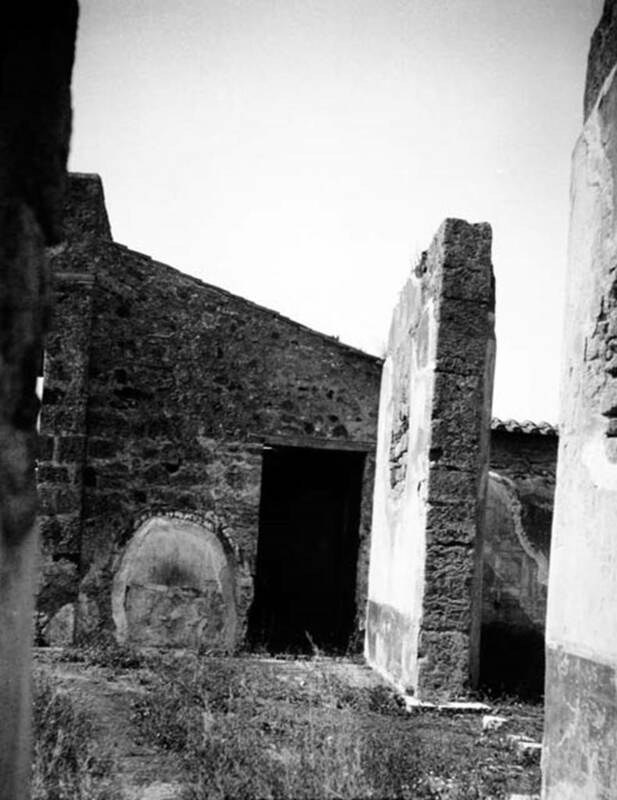 VI.9.2 Pompeii, 1968. 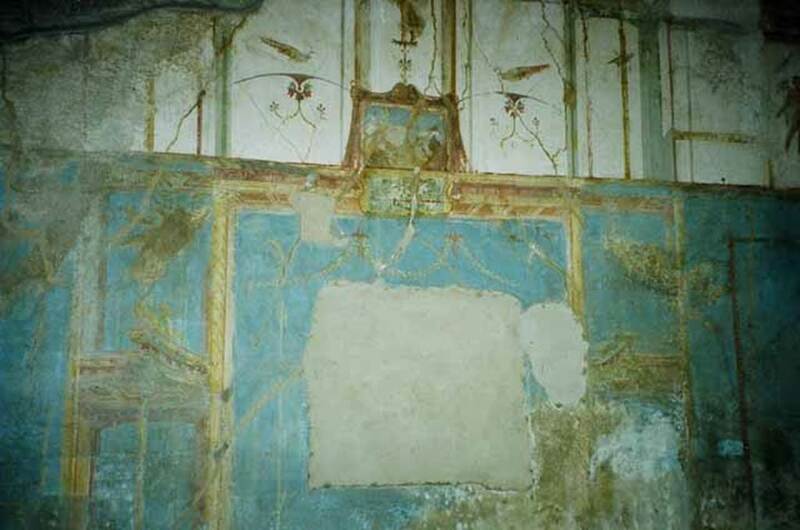 Room 29, detail of painted wall decoration from south wall. 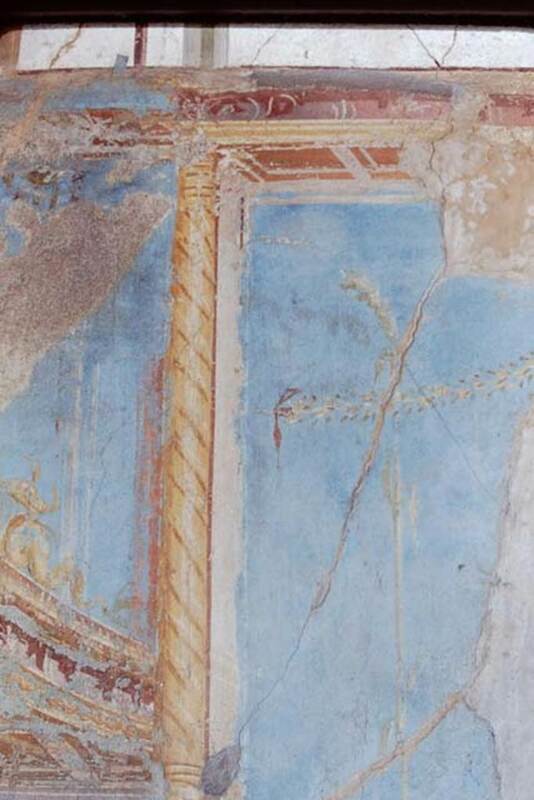 VI.9.2 Pompeii. W.430. Room 29, south wall.